Antalya Transfer. Antalya is the gateway to some gorgeous Turkish seaside resorts. With rich culture and history, as well as its heavenly Mediterranean climate and turquoise waters, the resorts around Antalya, such as the popular holiday destination of Kemer, Side, Alanya and Belek can provide the holiday of a lifetime. The seaside resort of Kemer features natural, unspoiled stony beaches which demonstrate Kemer’s attractive natural beauty, that is also visible in its sea, forests and the Taurus mountains that rise to peaks of 2200m nearby. Enjoy the bars, clubs and restaurants of the marina, as well as the beaches, watersports and wide range of activities on offer. Kemer is just 42 km from the airport, though no standard shuttles run to Kemer, a pre-booked transfer is vital. Alanya is two hours from Alanya airport, and boasts Lara and Konyaalti beaches which, with their rocky beauty and crystal clear waters, provide a very authentically Turkish landscape. There are plenty of fantastic resorts close to Antalya, which itself is a vibrant and beautiful location in which to holiday. With a great quality airport transfer booked, you can begin enjoying the wonders of this amazing part of Turkey as soon as you get off the plane.Antalya also has wonderful surrounding areas with breath-taking views of the Beydaglari and the Bey Mountains, to the west of the city Enjoy your trip to this oriental eden which you will not regret visiting, and will most certainly leave you wanting for more. We provide reliable, low-cost Antalya Transfer from Antalya Airport to Hotels and private accommodation (holiday homes) in the Region of Alanya, Side, Belek and Kemer. We use a modern fleet of fully licensed & insured Vans, minivans and minibuses. We will take you from the airport to your destination and back in comfort and safety, at a low price and with great 24 h customer service. No extra charge, no hidden fees, pay upon arrival to the driver. You can book the Antalya Transfer simply from home through our online form, without risk, because you do not pay ahead. If you need more information please visit our Frequently Asked Questions page or contact our customer service. Our fast online booking service with friendliest and dedicated staff to work with us will give you the best service. If you want to reach your holiday destination safely without any discomfort then choose us. We offer on-time and reasonably priced services to our clients. We don’t compromise with the quality of our services because of any reason. No traveler wants to miss the flight. This is why, we keep a track on flight schedule and always drop the travelers on time. We pick up on time without any stopovers from Antalya Airport and Antalya Transfer brings you to any Hotel in this area. You can book before arriving to save 35% on each airport ride. The benefits of a Antalya Airport Transfers are very popular and you can avail them all by booking for your next airport ride. When it comes to cost, it is quite reasonable. In compared to various other means of transportation, it is affordable. 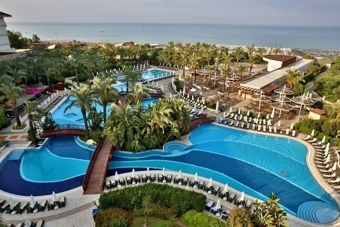 Antalya Transfer will bring you from Airport to all hotels in Side, Belek, Lara, Kemer, Avsallar, Alanya, Mahmutlar. We will pick you up on time and will take you without stopovers to your destination. Our price list you can find here under Airport Transfer Rates. If you want read the Testimonials from our Customers please visit Testimonials page.